Happy Healthy Mums Make Happy Healthy Babies! connection with your baby at Blooming Babies. Learn essential skills, make new friends during pregnancy and build a stronger connection with your baby at Blooming Babies. 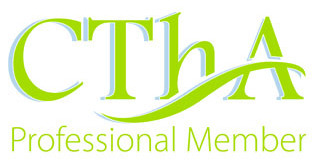 Providing high quality Antenatal, Aquanatal, Baby Massage and Paediatric First Aid in Harrogate, Guiseley and North Leeds, we offer group classes and one-on-one training to parents from across the region. 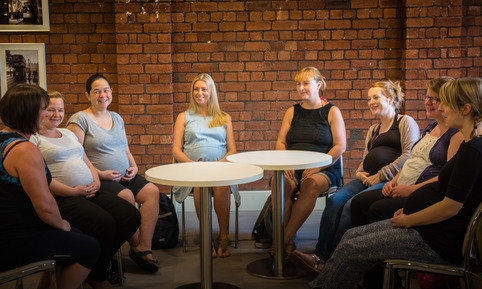 Owned and run by registered midwife, qualified nurse and mother of two Annie Robinson, it’s a friendly, supportive community where everyone is welcome. Creche Facilities Available for Daytime Aquanatal Classes at Nuffield Guiseley and Harrogate. Get in touch, or book your place at Blooming Babies today. Prepare for your baby’s arrival with expert antenatal classes from Blooming Babies. Designed to provide you with the information, skills and confidence needed to manage childbirth and look after your baby, they’re a great way to make new friends. Get the perfect pregnancy workout with Blooming Babies Aquanatal – specialist exercise classes held to music in the water. It’s a safe, fun way to keep fit, feel better and make new friends when you’re pregnant. Postnatal Aqua is a dedicated aqua-fitness class designed especially for new mums returning to exercise following the birth of your baby. Nurture, connect and relax with baby massage. In addition to helping alleviate ailments, improving lactation and promoting sleep, it will help you to build a stronger bond with your baby, whilst boosting wellbeing and brain development. 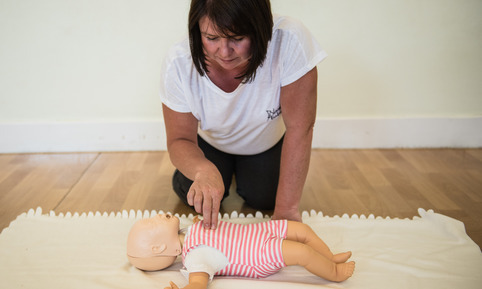 Learn the vital skills needed to treat children from babies to adolescence in emergency situations with Paediatric First Aid from Blooming Babies. Paediatric First Aid courses are suitable for the whole family, and are delivered by a fully qualified nurse and registered Midwife.